D130000BT Features: -Mounting brackets included. 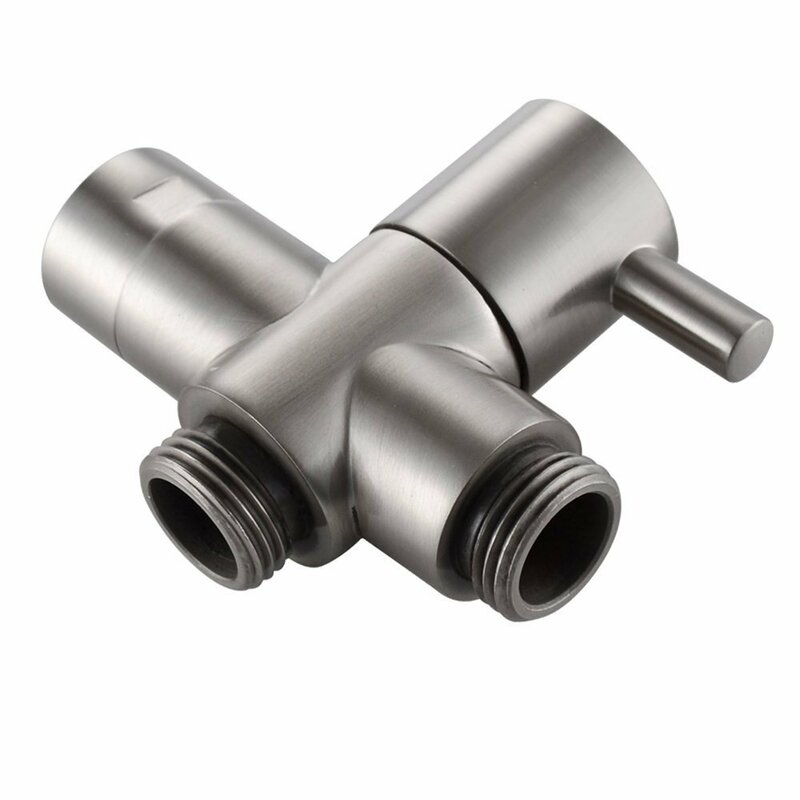 -Four-port diverted valve for one to three shower system. -Combination IPS/Copper sweat ports. -Meets requirements of ASSE 1016. 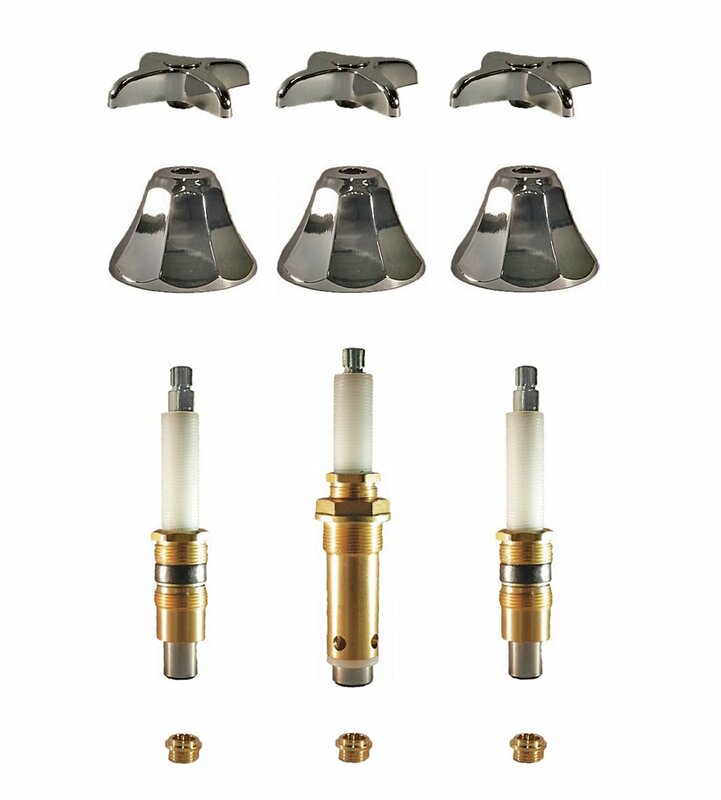 Product Type: -Diverter valve. Valve Application: -Shower valve. Mount Type: -Wall. Finish: -Rough brass. Primary Material: -Metal. Connection Type: -IPS. Generic Specifications: -8 position valve channels. Dimensions: Overall Height - Top to Bottom: -3.25". Overall Width - Side to Side: -3.25". Inlet Diameter: -0.5". Overall Product Weight: -1.49 lbs. Designed for use with 1/2-inch water supplies, the Danze Four-Port Shower Diverter Valve lets you operate a standard showerhead, handheld shower, and body spray on the same pipe. This eight-position valve services up to three different shower systems and installs easily via a simple attachment to your existing showerarm pipe. The valve lets you switch between different components, or use any combination of them at once. This four-port diverter lets you create a custom shower system by making it easy to operate up to three shower systems--like a showerhead or handheld shower--simultaneously. Its eight-position valve channels water to all three or any combination of systems. This Shower Diverter Valve is designed with anti-scald protection to ensure that the water stays thermostatic and pressure balanced within a safe temperature range, complying with code ASSE 1016 requirements. It works by automatically adjusting water temperature fluctuations to incoming water pressure so you can enjoy safe, comfortable water temperature with the right amount of pressure. This valve includes mounting brackets, and comes equipped with 1/2-inch combination IPS/copper sweat ports. It will deliver in excess of 4 gpm at 45 psi. Durable and built to last, its rough brass finish is designed to withstand years of use. Use only with Danze D5608 trim systems (sold separately). The Danze Shower Diverter Valve is backed by a limited lifetime warranty on defects in materials and workmanship. 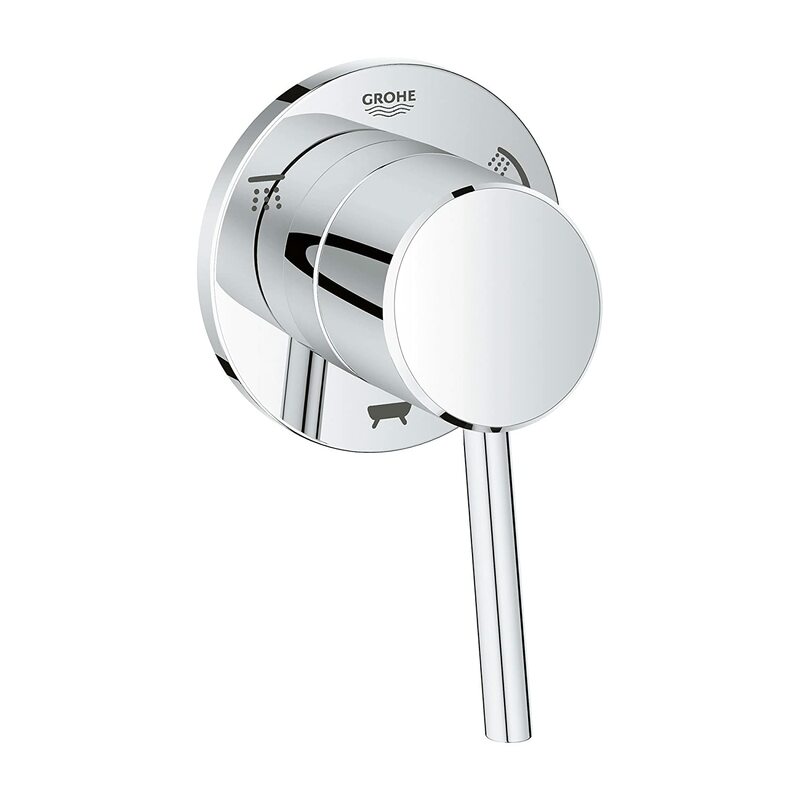 Offering over 27 named collections of toilets, vanities, faucets, showerheads, and bath accessories, Danze has been a leading manufacturer of fine furnishings for the kitchen and bath since 2001. 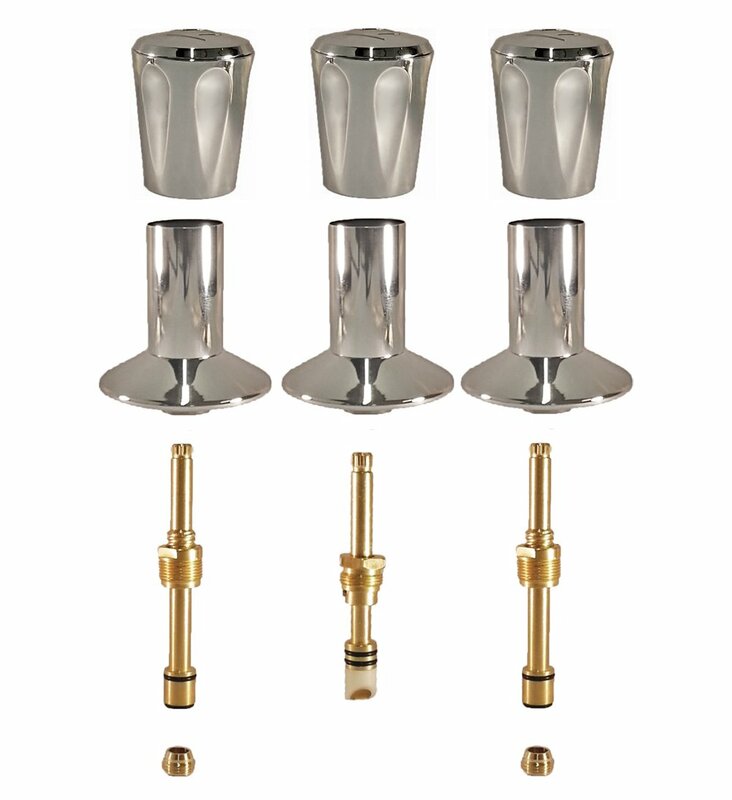 The company's product line now includes over 1,500 decorative products, including 15 collections of faucets for the bath, over 100 faucets for the kitchen and entertainment areas, 10 collections of matching bath accessories, and a comprehensive line of brass shower products featuring over 130 styles of showerheads and showerarms. 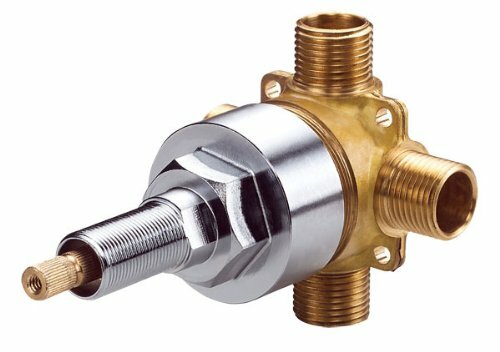 Valve, mounting brackets, hardware, and installation guide. I have been searching for a shower set for my master bathroom. All the brands looks so nice in the pictures and I have no idea where to start. I went to a local showroom and the sales person put together a list of items based on my need. The brand quoted was Hansgrohe and I got a list of all the parts I need to complete the shower system, and it was super expensive. It was around $1400 for thermostatic system with rainshower head and a hand-held shower. Excellent water flow and great temperature control. Temperature of water does not change with flushing toilet or running water elsewhere in house. Bought this and the Danze D151000BT for 80$ less than retail in the local stores. Installed our rain shower, hand held and stationed head - well the plumber did. The diverter is a great tool in a shower with 3 heads. One on, two on, three on, or any combination thereof. It makes taking a shower fun, if you get my drift?